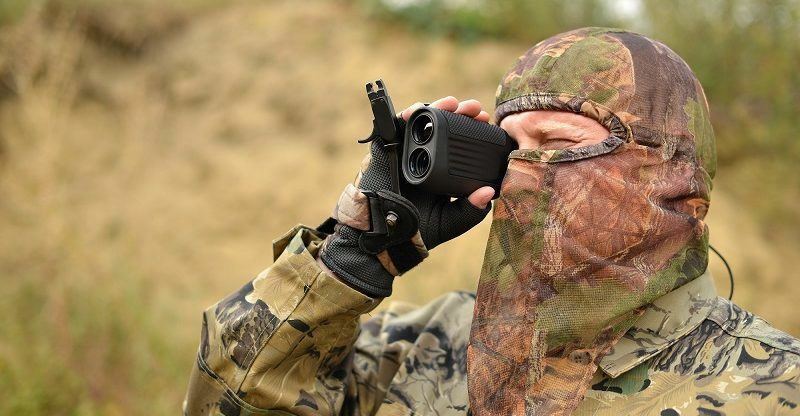 Hunting is fun, but it becomes more enjoyable and interesting if you can find the best hunting rangefinder because it comes with a number of advantages. Once, as long as the magnification and lighting are right, you will be able to locate your target with ease thus avoiding shooting at other objects. Two, you will be able to aim at targets that otherwise would seem too far to waste shots at and finally, you can actually begin to feel proud of your achievements. You don’t have to go beyond your budget to get the best out there. The best for you should fit your budget. Keep in mind that it’s not in all instances that the product’s price equals its functionality and durability. The more compact a rangefinder is, the easier it is for you to carry it around and tuck it in any pockets when not in use. Since you will be using your hunting rangefinder while on the go, it is only best if it is lightweight. This ensures that you will have no problems with excess weight or feel inconvenienced especially when out hunting for long hours. Weather changes are at times unpredictable. You should thus ensure that your hunting gadgets are built to withstand such changes as rain or fog. To avoid incurring extra costs, ensure that you are getting a full package and in this case, batteries and a carrying case/bag will be a great advantage. The longer the measuring range, the better as you will be able to hit even those targets at long distances with ease and without having to move closer which might result to them seeing you and running away. Sometimes, you won’t have all the time to set and hit your target. Thus, the rangefinder you choose should be very easy to operate so as you locate and aim for your target as fast as possible. Now that you have a good idea of what to look for in a top rangefinder, let’s set our sights on some of the best models out there. All of these are great options, but you’ll have to pick that one that goes best with your particular hunting style. 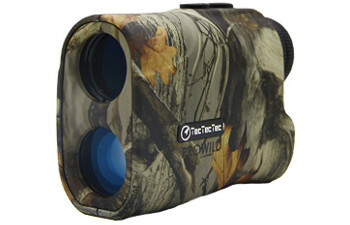 The TecTecTec ProWild Hunting Rangefinder is a great value and will take your hunting experience to a whole new level. If you are tired of all the cheap hunting rangefinders with short and unreliable ranges of measurements, it is time you tried something new, and this Prowild Laser Rangefinder is the best option. First, you will get to enjoy a great measuring capacity of up to 540 yards (it only measures in meters and yards, and with it, you can measure the speed too). And, you will get the readings quickly and accurately thus enabling you, hit your target without missing. Any hunter would appreciate such a rangefinder because it simplifies your work and enables you to yield more results. Second, this rangefinder is very lightweight making it even more portable. 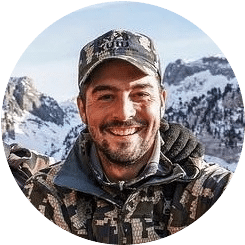 This is an important feature because well, hunting requires you to move your rangefinder from one place to another and if it is bulky, this might hinder you from achieving as much as you would have wished. What’s more, you can actually operate your rangefinder with gloves on so that’s a plus, especially when hunting in colder environments. Again, this is the most compact rangefinder you will come across. In fact, you will be right to say that it is built to last. The manufacturers knew very well that you might be taking it to some challenging environments and so they made sure that everytime you do, it will still remain in a perfect condition. And, the rangefinder comes with a wrist strap thus helping carry and use it without dropping it accidentally and its lightweight makes this even better. Also, do not get worried if along the way you accidentally pour some water on your rangefinder or if it the downpour starts as you are still hunting because this rangefinder features a water resistant body thus it is able to keep a huge percentage of water from reaching the essential parts. However, it is important to note that the rangefinder is only water resistant and not waterproof so you should be cautious when using it around wet environments. What’s more, the price is very pocket-friendly. 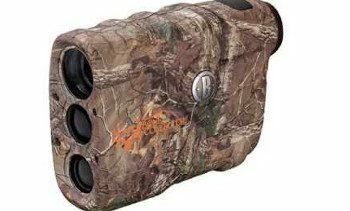 It fits most hunters’ budgets and performs much better than other rangefinders double its price. It is very ergonomic and comes with everything needed to get started, so you will be good to go in less than ten minutes. The display is clear thus easy to read. It will enable you to take even those targets that you would otherwise assume to be out of range. The only downside is when it comes to using the rangefinder in dark places. They are very clear when you are in a well-illuminated area but when in the dark, you would need some light to get the readings because they are not backlit. Other than that, this is a great purchase for the money. Related: Check out Gosky 20-60X 80 Porro Prism Spotting Scope as a great addition to your gear. It will help you get a clear view of your target and your rangefinder will let you know the distance. This Halo XL450 is ideal for various types of hunting including bow hunting. It measures in yards and meters giving you quick and very accurate readings. You will target better and be able to shoot even those you thought too far to waste shots on. As a matter of fact, you will find hunting more enjoyable and get to achieve more than you thought possible. 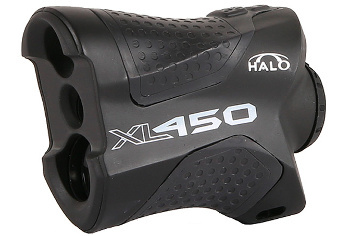 You can now forget about the frustration that comes with missed shooting opportunities as this rangefinder by Halo features the Halo’s Ai Technology that accounts for the changes in distance if you are shooting in none horizontal position. Thus, you will be able to hit your target even when shooting from some daring positions such as an elevated tree stand. In short, this rangefinder gives you the freedom to try any shooting position you deem possible and still get your target. And, apart from a carrying case, everything else you need to get this guy going is included. Once you receive it, you will be able to start using it in a few minutes as it also comes with a clear menu of how to go about it. In addition, the rangefinder is super easy to use. You just point then press to get a yardage readings which you can get in yards or meters. You will enjoy using it. When we come to the construction, this device’s is super impressive. First, the body is water resistance thus giving you the confidence to explore any hunting zones in any season because it can withstand even moist or wet conditions. Again, it is so compact giving it a desirable durability and enabling you to take even the challenging hunting destinations as it is strong enough to withstand any of it. Thanks to this compactness, this device withstands a great level of abuse including accidental droppings. The 6x magnification gives you a clear picture of your target enabling you to achieve more hits. It is also super lightweight in addition to the compactness thus making it easy to take it with you to various hunting adventures. Also, the rangefinder features a wrist wrap and a provision to attach lanyard thus adding to its portability. Included in the package is a battery needed for its operation thus you will be able to start using it immediately after receiving it and no extra costs. The Gunwerks Ballistic Rangefinder E1011 gives the best solution to hunters who would like a long-range shooting especially those who like shooting in open fields. It is the ultimate deal to taking your hunting game a notch higher. You will get your target even from a long distance. When it comes to setting up, this rangefinder is the easiest to set up and use. Even for people who have not used it before, few minutes of following the instruction menu will see you using it within no time. Also, everything you need to start using it is included thus no extra costs in buying this or that. It also features very clear glass thus giving you clear images of your target. You don’t have to guess which part you are aiming to hit thanks to the clear glass. Some hunters have confessed to shooting at rocks simply because their rangefinders glasses are not very clear but with this one, magnification is enough, and the glass is super clear. With perfect precision, this rangefinder enables get accurate readings no matter how far your target is. As any hunter will tell you, rangefinders’ accuracy determines how much you can achieve so be ready for great achievements with this one here. And, you do not have to strain to achieve the best precision. As mentioned above, this rangefinder is super easy to use and so is achieving the best precision. But, most importantly, this rangefinder is compatible with various scopes and rifles. This is a huge advantage to most hunters as you won’t be forced to have just one rifle and one scope or having to purchase a different rangefinder for each of them. In simple words, this device is designed to advance your hunting experiences while ensuring that you do not incur extra costs at all. Related: This laser rangefinder is usually bought alongside Nikon Recon Gear Retractable Rangefinder Tether that allows you to get to your target more quickly. It is Waterproof and self-flushing. 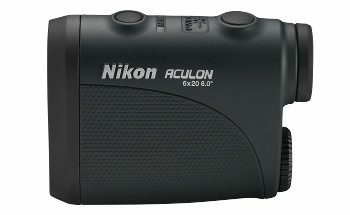 Nikon 8397 Aculon just like all other Nikon products does not need much advertising because it’s almost obvious that it pass any tests. To begin with, this rangefinder features an ultra-compact frame. Thus it highly passes the test of durability and ability to withstand harsh hunting conditions. This is important because while hunting, you cannot rule out the possibility of accidentally dropping your rangefinder with absolute certainty. In fact, this often happens, and you would be better off with a compact device. Second, this is the smallest rangefinder you are likely to come across, and the small size enables you to fit it various pockets or packs without any struggles. This makes it very portable, and it can best be categorized as the ultimate-take-everywhere rangefinder. It does not matter how huge your luggage is. You can always find some space to fit this rangefinder, and this makes it the best option for many hunters. Again, this Nikon rangefinder’s body is water resistant, and this is good news for most hunters. You do not want to have your rangefinder destroyed by rains or wet hunting conditions. Thus, this would make a good choice for when you want to go hunting, but the environment is not so dry. Being water resistant means that it can keep a significant percentage of water out even if it is not totally waterproof. With multilayer coatings, this rangefinder provides a higher light transmittance across the whole visible light spectrum thus clearer images. You can rely on it to help you hit your target without missing thanks to this feature. Everyone who has used it has not had any disappointments, and you too can have this wonderful experience. Also, this rangefinder is very easy to use. Even for first-time users, you just need to follow the provided instructions manual, and you will be good to go. The rangefinder is designed for a single button operation thus very easy to use. It is also very accurate, thanks to its high precision. You can never miss a target with it. It also has an easy-to-read screen that displays the ranges in either meters or yard intervals. The Bushnell G-Force DXARC is the new vertical designed rangefinder featuring 6x magnification and you can either use it for rifle hunting or bow hunting. 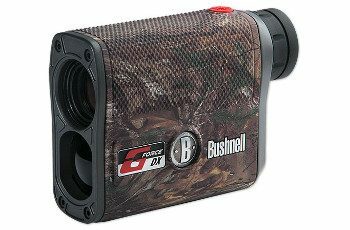 It represents a blend of major features found on most other Bushnell models combined with new technology. It will be taking your hunting experience to a whole new and better level. First, this G-Force DX is designed to feature the Bushnell’s Vivid Display Technology with red screen readout which is different and better than the black display found in their other budget rangefinders. With this red screen readout display, you can easily adjust its intensity manually to one of the four different brightness settings. By doing this, you will be adjusting the intensity of your reticle plus readout to your preference despite the nature of the lighting conditions. Again, when you are in Rifle mode, you can either set your rangefinder to display the angle compensated holdover readings either in MIL or MOA in addition to inches or centimeters. And, when your rangefinder is ranging in yards, you can set the unit to display the holdover measurements in MOA, MIL or Inches. However, if it is ranging in meters, you can program the unit to display the holdover information in centimeters, MIL or MOA. With this rangefinder, you will easily get the angle compensated readings. First, the rangefinder will display the line of the sight reading then display the shot’s angle directly below for about one and a half second then disappear and finally display your angel compensated information. 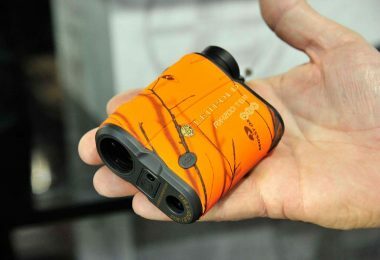 This is different from various previous versions rangefinders. 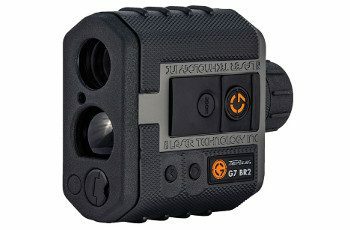 The G-Force DX rangefinders also feature a new and great feature: ESP 2 (Extreme Speed & Precision processor) allowing for an improved speed as well as accuracy when the unit is ranging the distance. With this unit and this feature, you can get 5-199 yard accuracy as opposed to a max of 125 yards in the older version. This makes your hunting better and more enjoyable. When it comes to housing, Bushnell now uses metal housing with a rubber coated grip. The housing is small enough to add to the compactness of the rangefinder and retaining its lightweight for better portability. Related: It’s always a good idea to pair a rangefinder with a quality spotting scope. Other users have also bought ROXANT Blackbird – HD Spotting Scope and recommend it. 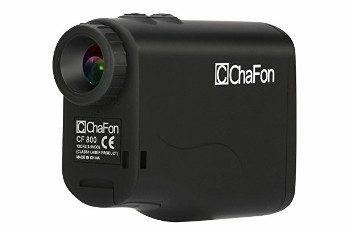 The Chafon Laser Rangefinder can be described as an all-weather rangefinder thanks to the four mode selection feature. The four modes are Fog mode for when you want to use it in a foggy environment, ranging mode, flagpole lock mode, and the speed mode. You can, therefore, use it in different premises and still get accurate results. The high-quality 6x monocular enables you to get a clear scene as it features a multilayer coating boosting the light reflectivity and an adjustable focus for the perfect focus. With this rangefinder, you will be in a position to identify distances perfectly from 4-656 yards. And, because of its clarity, you can distinguish any distant objects. Again, this rangefinder has been constructed with waterproof and very durable quality materials. It is water resistant as well as fog resistant thus keeping your vision clear even in wet condition. 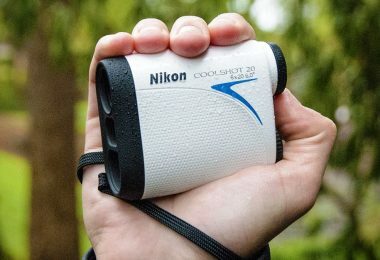 This also is part of why it is described as an all-weather conditions rangefinder. You can use it perfectly on rainy days too or on a foggy weather and still get accurate results. It is built to help you enjoy every moment with your friends despite the changes in weather. The rangefinder also offers many options when it comes to how or where to use it. It is not one of those rangefinders whose uses have been strictly restricted to hunting for example. With this, you can use it while golfing, tracking race cars, hunting, measuring speeds or measuring distances and so forth. If you like the outdoors, you will surely find many uses for it and even discover new hobbies. It comes as a full package. No extra costs besides what’s in the box. You get a quality bag, microfiber cloth, strap, free battery (CR2) and operating instructions. Once you receive your package, you will be good to start using the rangefinder in no time as setting it up is pretty easy given that everything you require is included in the package. Related: The Clicgear Rangefinder Storage bag is a gear place to keep your rangefinder safe and secure while it is not in use. 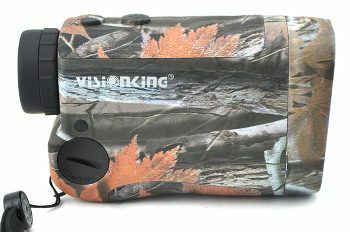 The Visionking Laser Rangefinder is very durable and features three use mode to make your hunting or golf more interesting and enjoyable. It enables you to get clear visuals from 15 to 600 meters away helping you hit your target as you wish. With 6x magnification, this rangefinder enables you to differentiate your target from the surrounding objects with ease thus helping avoid wrong targeting. 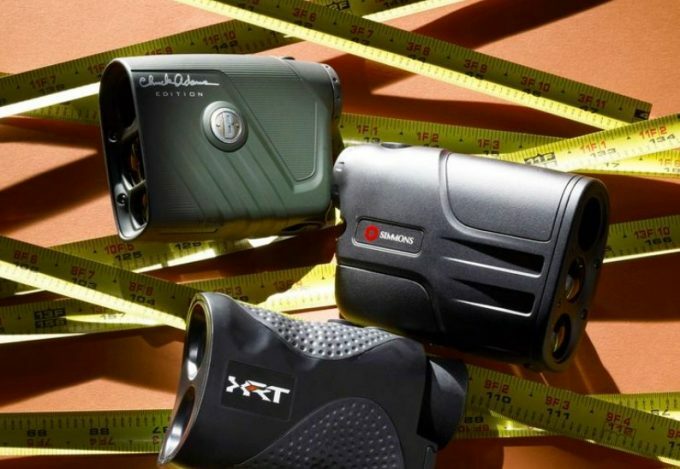 Whether you are into hunting or golfing, either way, you will need a good rangefinder to help you maximize on hitting the target rather than missing, and this rangefinder helps achieve exactly this. The LCD indicator plays a great role in helping you read of the displayed ranging results with ease. The LCD feature ensures that you get the readings with ease even when using the rangefinder in dark places and this makes hunting fun. Sometimes one ends up wasting too much time trying to use some sort of spotlights to read the displayed results but not with this rangefinder. With a rain-guard, this rangefinder ensures that your fun does not stop with a few drops of rain simply because the rain suddenly started. It features a waterproof function ensuring that you can go hunting or play golf perfectly even when it is raining rather than running to return it in the bag with fear of it getting water damages. You will thus appreciate the three important modes i.e. hunting, golf and rain modes. The eye-safe laser pulses will rapidly measure any distances from 15-600 meters giving highly accurate results. This is enhanced by the multi-coatings that enable a more effective light reflection. You will thus get clear visuals as long as your target is within the recommended distance. The rangefinder is also very compact and lightweight thus adding to the overall portability. You can take it with you for various destinations with ease, and because of its compactness, you can carry it in various pockets in your travel bag with ease. Setting it up is easy, and it is delivered as a full package, so you won’t be going back to stores to shop for any of the accessories needed. 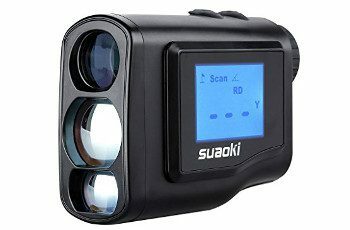 The Suaoki Digital Laser Rangefinder Scope with Unique Distance Correction Function, Horizontal Distance, Fog, Height, Speed Measurement, Perfect for Golf, Racing and Hunting gives you a long range of up to 656 yards (600 meters) allowing you to get accurate measurements or information on various objects without forcing you to get closer. It will make hunting, golf or race more interesting and super enjoyable. The rangefinder is designed to maximize on accuracy to ensure that you are confident with whatever range readings it displays thus helping you take the next step more confidently. This determines a lot in the three possible uses of this rangefinder, golf, racing or hunting because any interference on accuracy might mean grave danger or terrible missing on the target depending on how you are using it. It also features various adaptable modes such as a range, golf distance correction, flagpole lock, for, height, distance, and speed enabling you to maximize on the various ways you can use it. However you choose to use it, you can be sure to use it in all the creative ways that you may deem possible for better results. For example, when hunting, you may never know when certain targets may require you to assume some weird positions, so it’s good to know that your rangefinder will cooperate. With a built-in user personalization feature, you can just set it as you wish according to how you plan on using it. For example, you can set it to hide some measurement modes that you are unlikely to use. This allows for a faster way of using your rangefinder as you “eliminate” all those features that you won’t need. The rangefinder is also highly portable as it weighs just 5.5oz. So you can easily grab it and comfortably carry it to any destinations. It also comes with a convenient and well-designed belt-mountable bag making it easy to carry it around and a lanyard thus allowing utmost portability and mobility. Related: To get a good view as well as a range of your target, it is a wise idea to pair your rangefinder with a spotting scope. Many users have also bought Barska 30-90×90 Waterproof Colorado Spotter Scope as well. The Bushnell Bone Collector Edition featuring Realtree Xtra Camo is geared towards serious hunting enthusiasts. If you love spending your time out hunting in the wild, you will love everything about it whether you are a bow or gun hunter. The price maybe higher than what you are used to seeing on most rangefinders but this is only because this is a great rangefinder. The design alone tells you that this a great piece of equipment. From how it looks, you might be quick to think that it is heavy but this is only until you hold it in your hands. It is super lightweight weighing just 8 ounces thus cannot slow you down, and you won’t have a hard time figuring out how to carry it around in your hunting endeavors. However, being lightweight does not mean that it feels like a plastic toy. In fact, it feels very sturdy, and it is very durable. It is super compact thus can easily be tucked into any pocket if not in use. 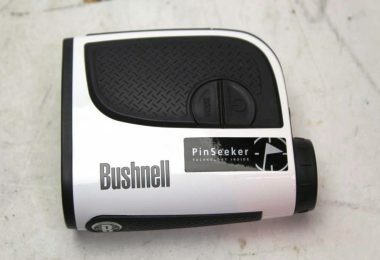 Since this rangefinder is primarily designed for use by hunters, it does not feature flashy colors as is common with most rangefinders designed for golf and other purposes. This one here features Realtree Xtra camo pattern thus screaming serious hunting business even from a distance. The pattern blends well with various hunting conditions thus enabling you to get your target with ease. On the same note, this rangefinder’s housing has a rugged feel for better grip while in use and most importantly, it is rainproof enabling you to operate it even in wet conditions. However, you should be careful to submerge it in water as there is no guarantee that it will withstand this. The rainproof feature comes in handy for most hunters as any weather changes might happen unexpectedly and you are better off with the right products to withstand the changes. You will also get to enjoy the easy-one-handed operation thanks to this rangefinders vertical configuration. Also, generally, the Bushnell’s MWBCE is simply straightforward to measure your targets’ distance and to use. It is designed to allow easy single button operation thus making your work super easy. In addition, this button is conveniently positioned below your index finger, so it becomes easy to reach and operate it as you hold your rangefinder. Related: When getting the Bushnell Michael Waddell Bone Collector Edition rangefinder, it is recommended that you get the Bushnell Deluxe Binocular Harness. This is made with beautifully designed features and made from quality materials. It facilitates the carrying of binoculars, rangefinders or light cameras as it disperses the weight of the gadget around the shoulders and upper torso, and the gadget is easily accessible as it is right under your chin. 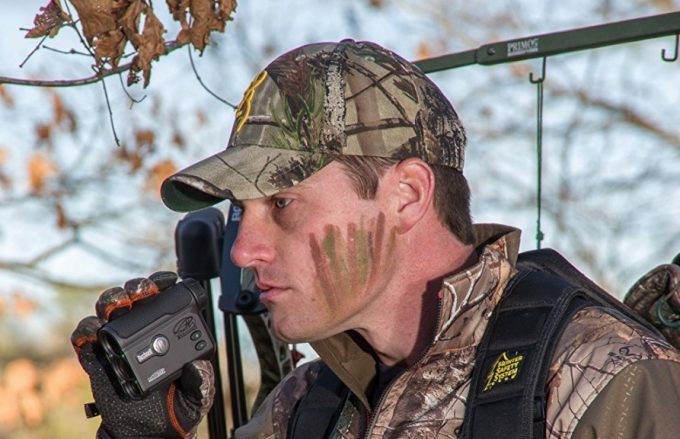 Take your hunting to the next level by getting yourself the best rangefinder for hunting. You will maximize on accurate target focusing and minimize on missed shots which not only makes hunting enjoyable, but it brings with it some sense of pride in how much you can achieve while out there in the wild. 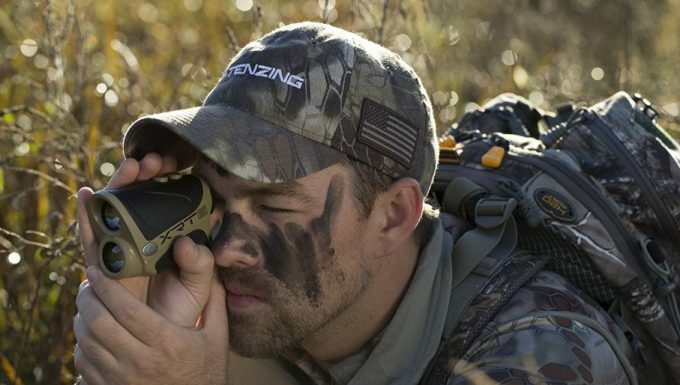 Having the best hunting rangefinder means the best time hunting. And, rangefinders can be used for other outdoor activities too like golf, race car tracking and so forth so you might just as well go ahead and discover new hobbies with your rangefinder. But we’d like to hear from you as well. Which of these options did you go with and why? Could you tell us in the comments section below? And don’t forget to share this article out with your friends on social media.